Austrian Airlines has managed the turnaround after a tough restructuring period and now operates profitably. The airline is also headed towards positive operating earnings in 2018 following strong passenger growth of more than one million customers, comprising a year-on-year rise of 8.5 percent. 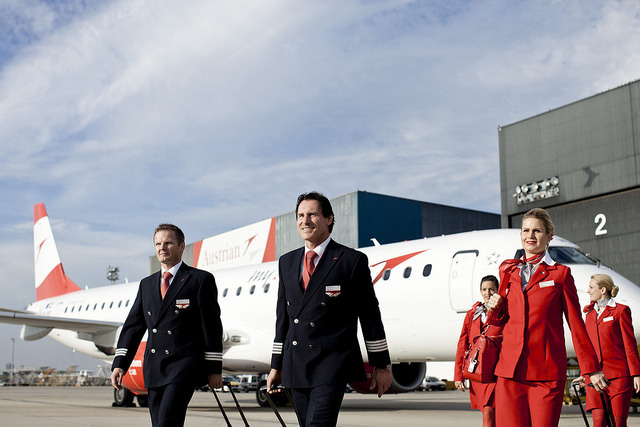 The solid demand by passengers and increasing competition in Vienna has led the red-white-red national carrier to lay the strategic foundations for the future. The airline’s Airbus fleet will already be expanded from the current 36 planes to a total of 46 aircraft over the next three years. At the same time, Austrian Airlines will phase out its 18 turboprop aircraft with 76 seats. On balance, the flight offering from Vienna will be expanded by more than ten percent, in light of the fact that jets belonging to the Airbus A320 family are considerably larger than the turboprops. 1. “Operational Excellence”: In spite of adverse conditions i.e. airspace congestion, Austrian Airlines succeeded in maintaining a level of punctuality and reliability above the European average in 2018. In 2019, the airline wants to improve its processes and once again achieve the world-class level of flight operations customers are used to with the help of digitalization and a closer cooperation with Vienna Airport. 2. Austrian Airlines also wants to review its administrative and operational processes and save EUR 20-30 million on the basis of simplification, digitalization and avoiding duplication. Savings are to be avoided which are to the detriment of customers. 3. Under the heading “New Premium”, Austrian Airline’s efforts should place a greater emphasis on the customer and his needs. Personalized product improvements should position Austrian Airlines as the first-choice carrier. This Lufthansa Group-wide product strategy is to be coordinated from Vienna. 4. With a catchment area of 11 million inhabitants and a transfer rate of about 50%, Austrian Airlines also plays the role of a hub carrier, and Vienna Airport serves as its flight hub. This function should be strengthened in the future on the basis of a stronger orientation of the route network to Vienna. In turn, there will be a realignment of decentralized flight traffic within the Lufthansa Group. Examples of decentralized routes are Innsbruck-Frankfurt and Linz-Düsseldorf. There is high demand on these routes, but they also generate a high level of complexity because the aircraft cannot be productively deployed due to the rotations for the crews as well as technical maintenance. 5. 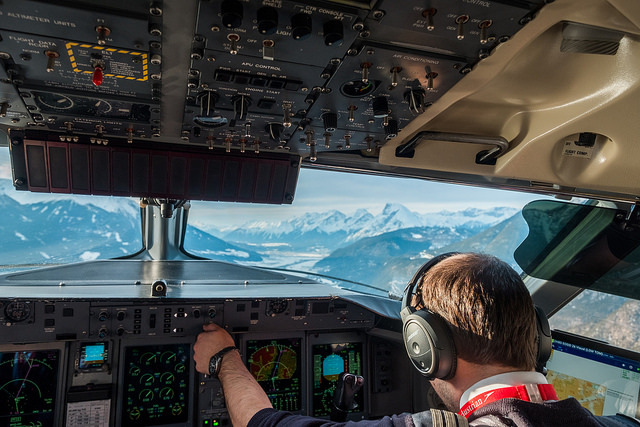 In order to avoid overly complicated crew rotations, the decentralized crew bases currently being operated in Altenrhein, Graz, Innsbruck, Klagenfurt, Linz and Salzburg will be relocated to Vienna. The 200 employees will be given the opportunity of employment in Vienna. 6. Technical Operations: Austrian Airlines aims to place even greater priority on the technical maintenance of its own aircraft in the future. At present the airline is also strongly involved in third-party business, which will be cut back. Third-party business means that maintenance and repair work is also carried out on aircraft operated by other airlines. 7. Continental fleet: Austrian Airlines will part ways with its turboprop aircraft earlier than planned and remove them from the fleet by 2021. At the same time, it will expand its medium-haul Airbus fleet to 46 planes. The airline currently operates 18 Dash 8-400 turboprops and 36 Airbus A320 jets. This step will eliminate complexity from the fleet structure by avoiding the need to operate and service one type of aircraft. A precise plan is being developed to determine when particular turboprop aircraft will be relinquished and when the A320 aircraft will be acquired. The restructuring of the fleet will comprise an improvement for the network and customers, as the routes deploying Dash jets will be served in the future by Embraer aircraft, and Airbus planes will be operated on routes currently served by the Embraer. 8. Intercontinental fleet: Austrian Airlines realigned its intercontinental network with the 2018/19 winter flight schedule. After a trial period, flight service on unprofitable routes such as Havana, Colombo and Hong Kong was cancelled and the offering to North America was expanded to the same extent. Frequencies on existing routes such as New York and Chicago were increased to daily flight service. By the way, Austrian Airlines will also remove the Seychelles from its flight offering after the winter season and cease flights there at the end of April. In contrast, Mauritius and the Maldives will remain in the flight offering as well-established “warm water destinations”. The objective is to enhance profitability in order to modernize the long-haul fleet in a subsequent step. The six Boeing 767 aircraft with an average age of close to 23 years should be replaced by more modern aircraft at some point in time. In addition, the airline operates six younger Boeing 777 jets with an average age of close to 18 years. In contrast to normal passenger vehicles, aircraft can be deployed for 30 years or longer with the proper maintenance in light of the fact that airplane parts are continually subject to a complete overhaul. 9. Stakeholder Roadmap: Austrian Airlines to strengthen Vienna as an aviation hub in cooperation with its partners. For example, this includes the recently launched “ZOVI” initiative (Zukunftsoffensive Verkehr & Infrastruktur - Future Transport and Infrastructure Program) launched by the Federal Ministry of Transport, Innovation and Technology. 10. Finally, Austrian Airlines wants to digitalize and modernize itself, its workplaces and working equipment and not only its aircraft. For example, the entire cabin crew has been equipped with tablets, and in 2019 the Austrian Airlines Traffic Control Center at Vienna Airport will be refurbished.